One of my favorite things about UWGB's campus is how it's surrounded by nature. The Cofrin Memorial Arboretum offers various trails, bridges, hills, and views of the bay, making it one of my favorite places to be on campus. UWGB students absolutely love bingo night. This typically happens about once a month, and large crowds show up every single time. And why not? 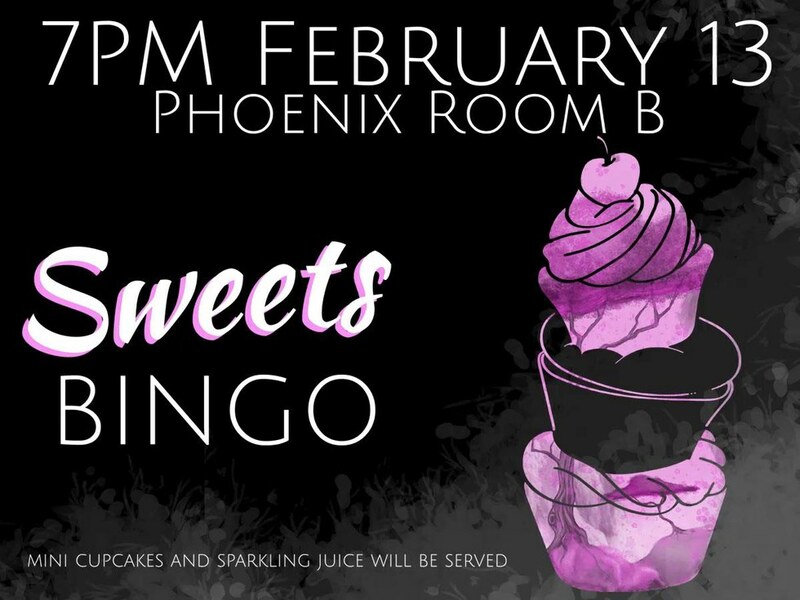 Free food is served and there are plenty of prizes that are up for grabs. One of my favorite spots on campus, I love getting drinks from the coffeehouse. Whether it's an iced coffee, a campus chiller (which literally tastes like a liquid Oreo), or one of the monthly specials, it's always a treat getting something from here. It also makes a great place to study or catch up with friends. Look familiar? 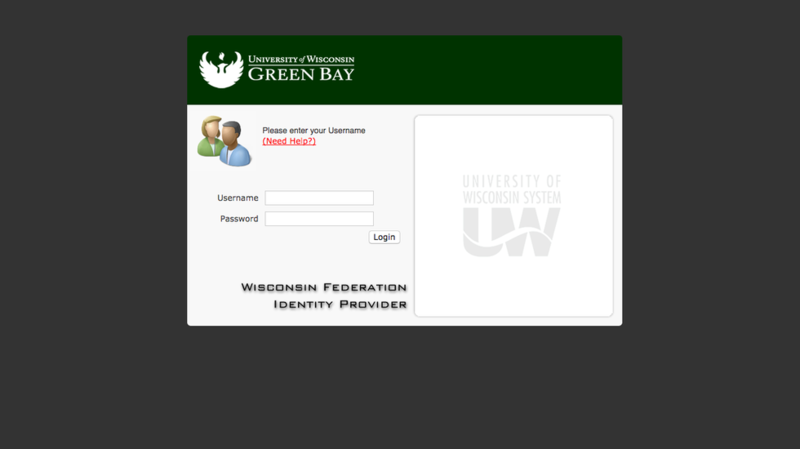 Every UWGB student knows D2L extremely well. Whether you use this site to look over lecture presentations, take online quizzes or exams, or to check the syllabus, students are constantly logging into this site. UWGB offers plenty of different employment opportunities on campus, which is something that I think us students take for granted sometimes. 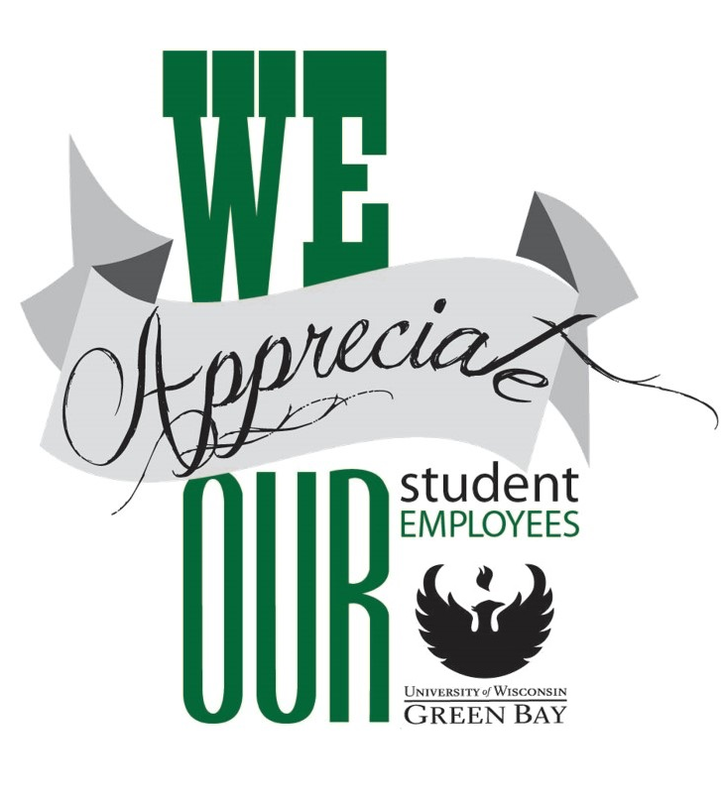 According to their website, "UW-Green Bay has over 1,500 on campus student jobs each school year, with an average of 1,000 students hired to fill these open positions. " 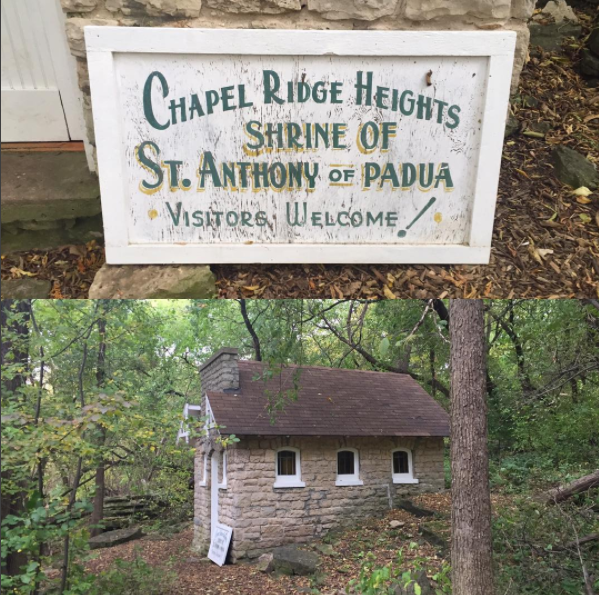 Locating the "haunted" chapel in the arboretum is a must before graduation. It's a bit tricky to find at first if you don't know the way, but you will get a hang of it eventually! If you're feeling particularly adventurous, I recommend heading here at night - with a few friends of course. 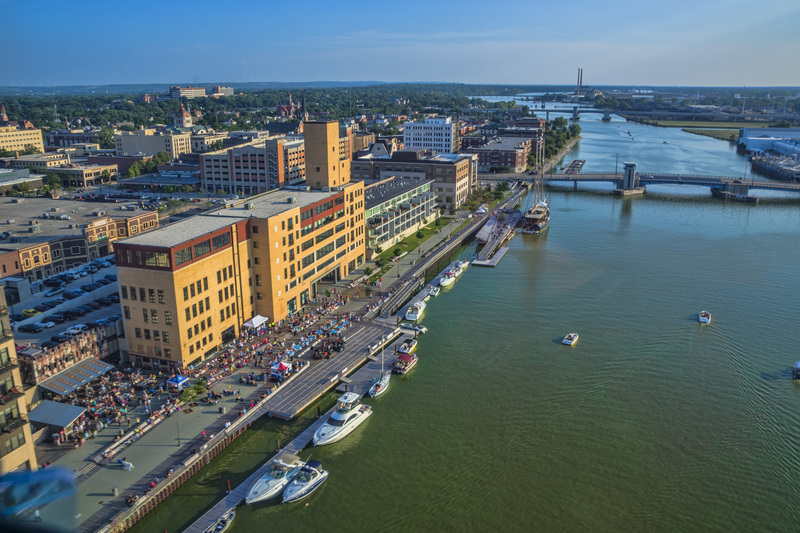 Obviously, UWGB is located in Green Bay, which happens to be the third-largest city in Wisconsin - and is home to the Green Bay Packers. Though the campus is located quite a ways from the downtown area, it's always fun to discover the surrounding restaurants, parks, and shops! 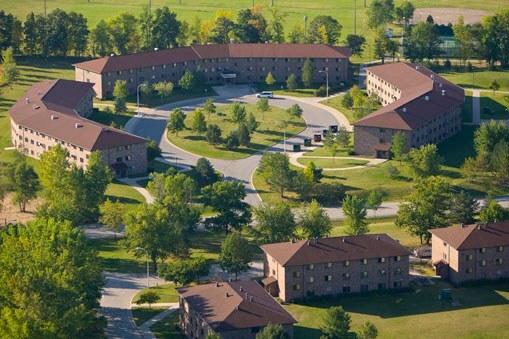 I honestly think that UWGB offers great housing options. After touring other colleges in the state, I was struck by how spacious and nice the dorm rooms - even for the freshmen - were here. After living on campus for two years now, I can definitely say that I'm content with the quality of the housing. Something that a lot of UWGB students enjoy participating in our the intramurals that are offered throughout the school year. Various sports are offered in blocks, and there's something for everyone who is looking to have some fun with sports. It's undeniable that UWGB has a beautiful campus. 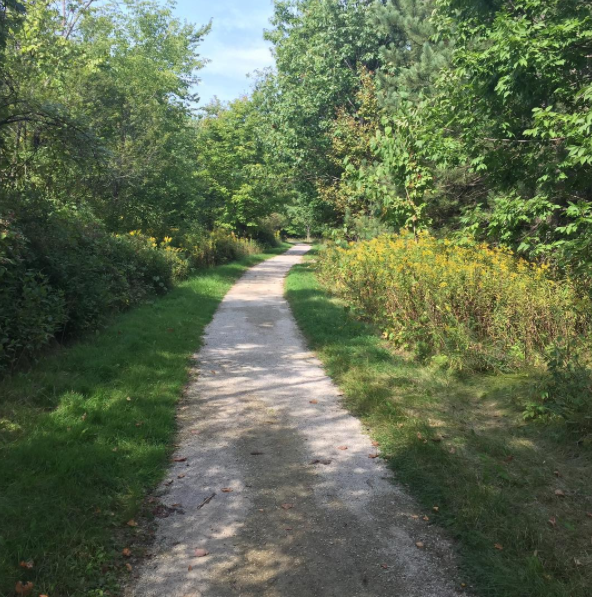 Unlike other colleges, UWGB isn't crammed in the middle of a city or surrounded by dive bars and cheap houses - we're surrounded by natural beauty instead. 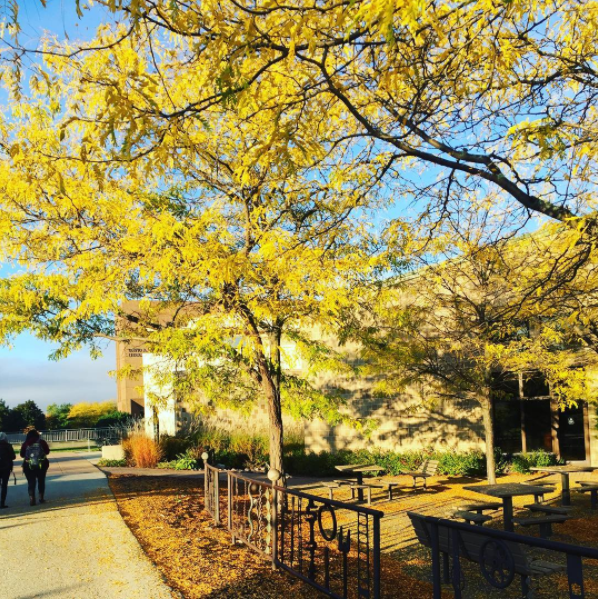 I believe that this campus is especially gorgeous during the fall when all the trees are changing colors. 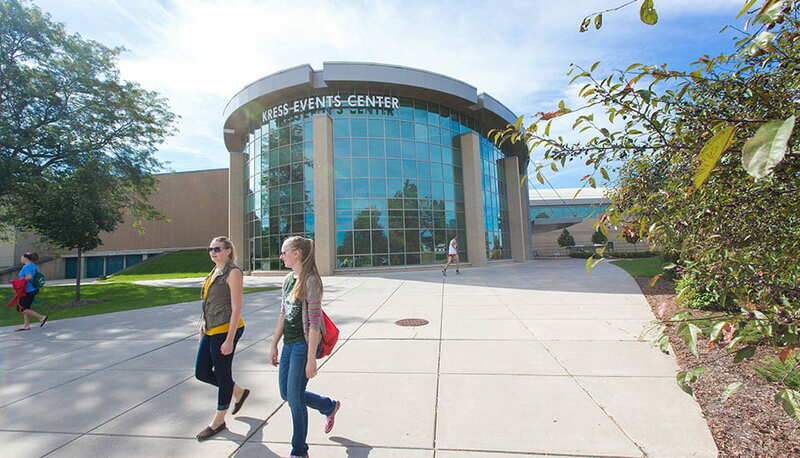 If you're a fitness junkie, student-athlete, or enjoy a casual workout, the Kress is probably a frequent destination for you. 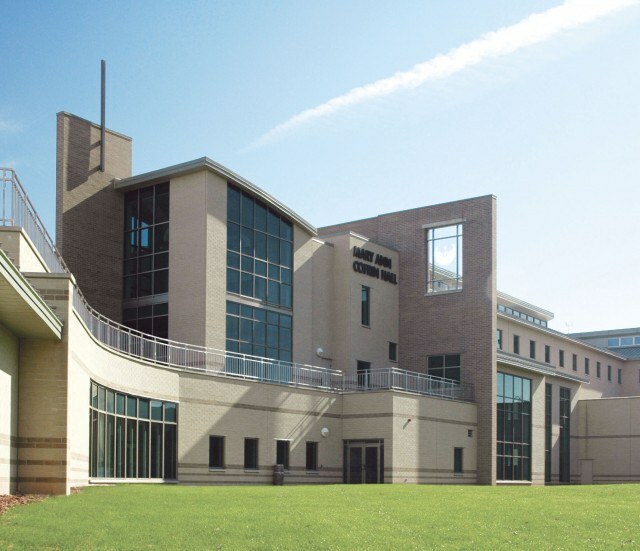 Another one of my favorite places on campus, the Kress has a top-notch cardio deck, great indoor track, climbing tower, basketball court, turf gym, swimming pool, recreation spaces, and much more. That moment when you realize that one or more of your classes is located in Wood Hall... especially if you have a class right before it in MAC or basically anywhere else. Wood Hall, along with Rose Hall, feels so disconnected from the rest of the academic buildings, and you always know that you are in for some exercise when you head over there. 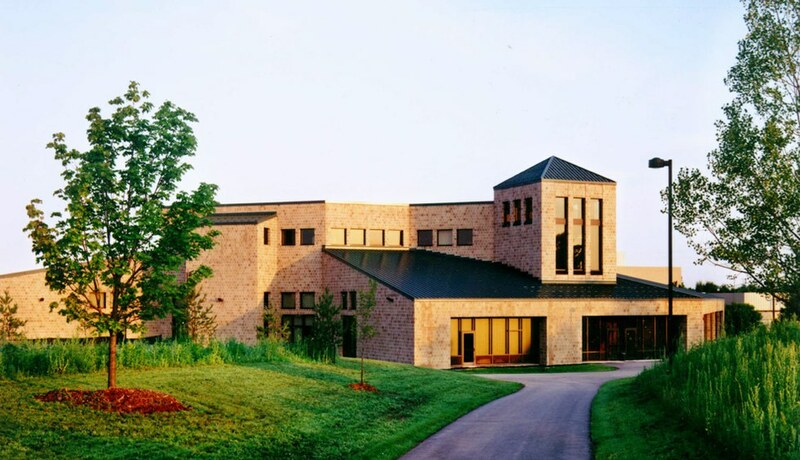 MAC, otherwise known as Mary Ann Cofrin Hall, is one of my favorite buildings to attend class in. 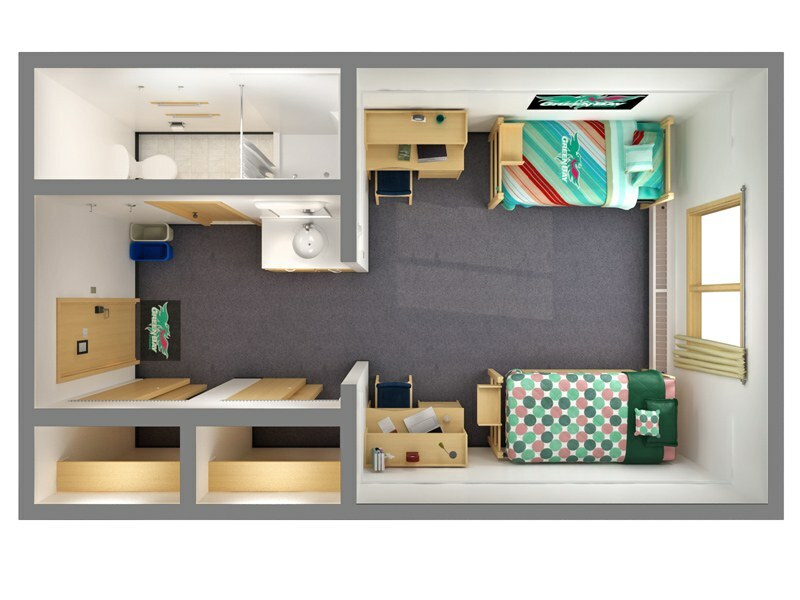 The classrooms have an open layout, and you don't have to worry about leaving too far in advance for class since this is one of the first buildings you encounter coming from student housing. 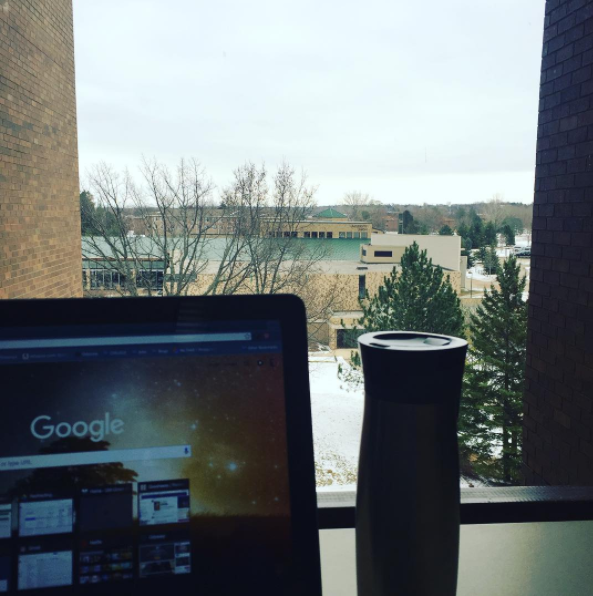 UWGB offers a plethora of great study spots all over campus. 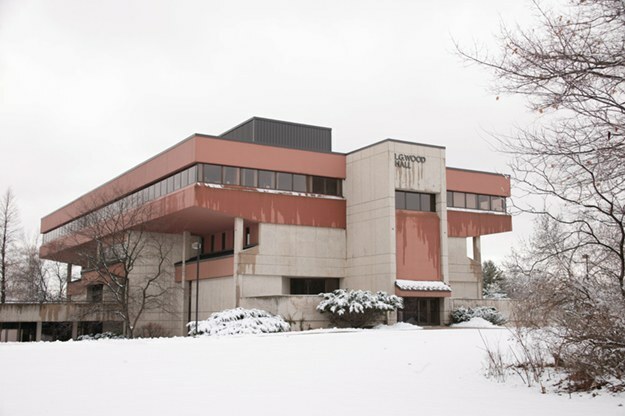 Some of my favorites include anywhere in the Cofrin Library, the Wintergarden in MAC, the second floor of Rose Hall, and the seating area by the Garden Cafe. 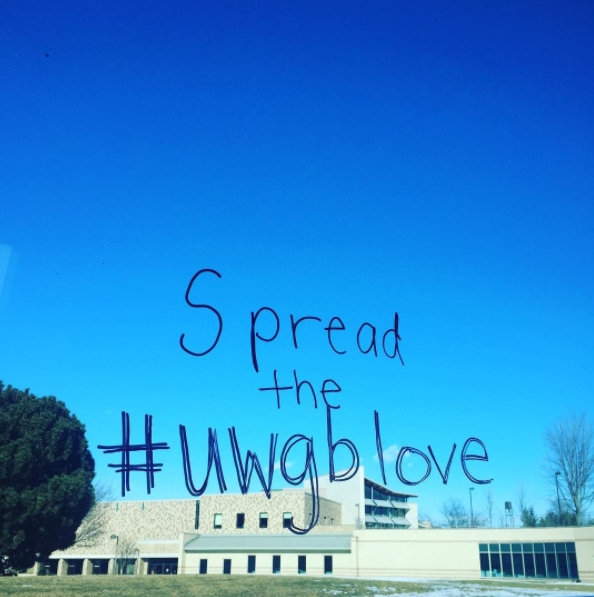 There are many different ways to get involved on campus! I can guarantee you that at least one of the student orgs at UWGB offer something for everyone. 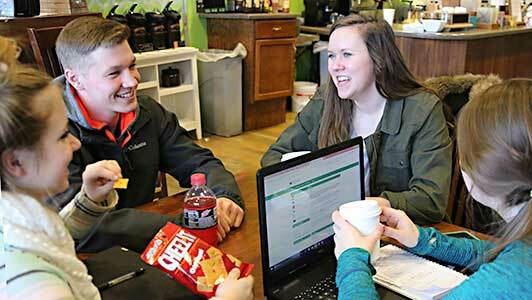 According to their website, "UW-Green Bay boasts more than 100 student groups, clubs, and organizations in which you can get involved with other like-minded students." 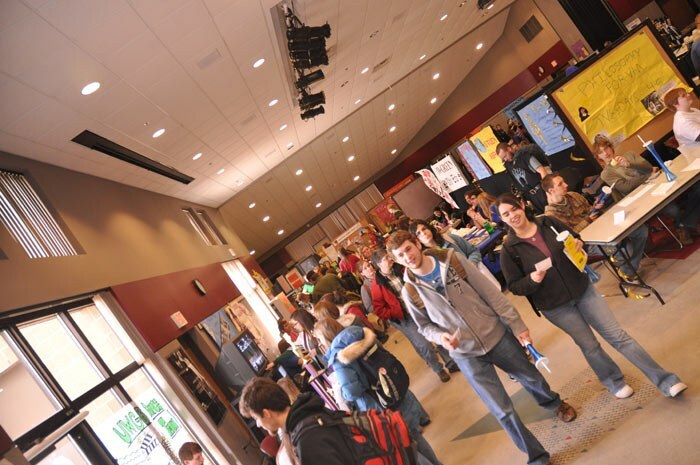 Org Smorg, an event held in order for students to navigate the various organizations, is held once per semester. 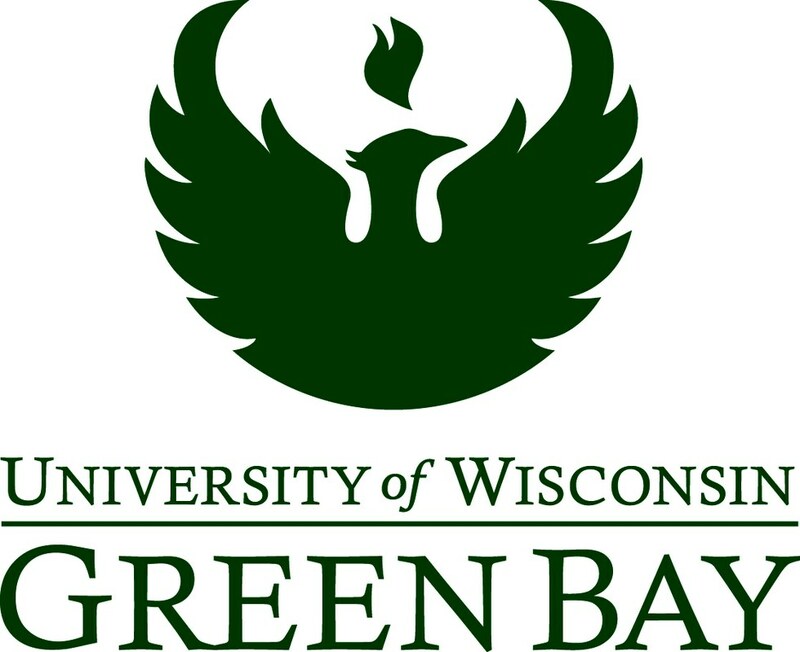 Our mascot here at UWGB is the phoenix, a mystical creature known for rising from the ashes. I personally like our mascot and think it represents our school nicely. I honestly believe that every academic program here at UWGB offers something special. I have encountered some amazing professors in my time here so far who are incredibly knowledgeable, passionate about teaching, and genuinely care about their students. 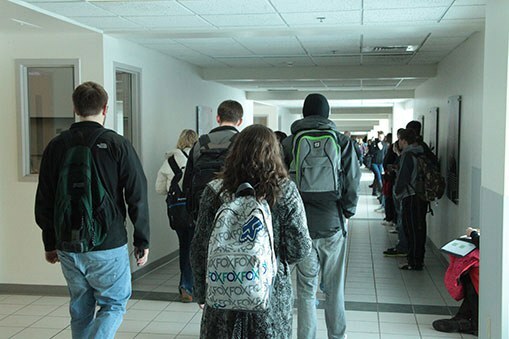 Though UWGB boasts a large population of commuter students, Residence Life still has a strong presence on campus. As mentioned earlier on this list, housing is quite good quality for college and there are various options available to students. Also, Res Life allows puts up interesting programs and events throughout the school year, such as Res Fest at the end of the school year. 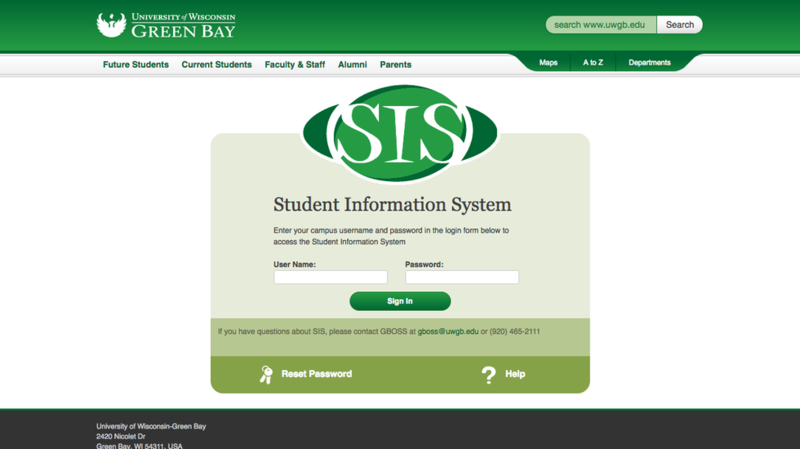 Like D2L, SIS is another school website that every UWGB has been on at least a few times. This website becomes especially prevalent when the new schedule of classes is made available as well as when it's time to enroll in classes. 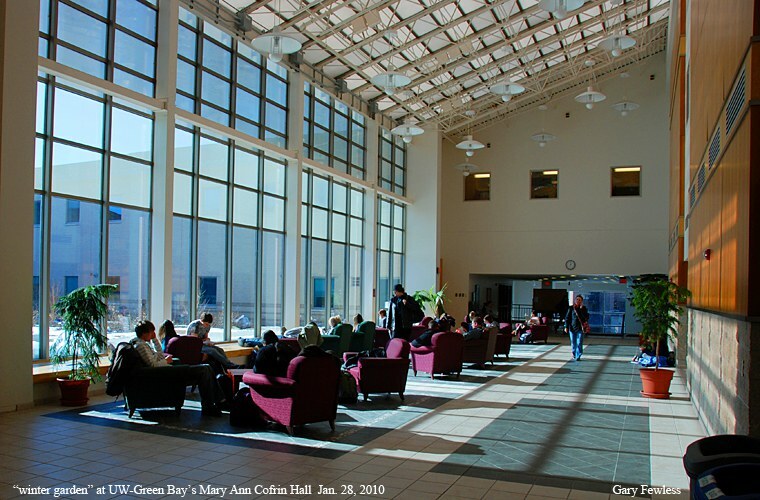 One of the biggest perks of attending UWGB is the fact that all of the academic buildings are connected through a concourse system. I couldn't imagine bearing the long, harsh winters while trying to get from class to class. This building is arguably the heart of campus. This is where the majority of dining options are found and a lot of the events on campus are typically held somewhere in this building. 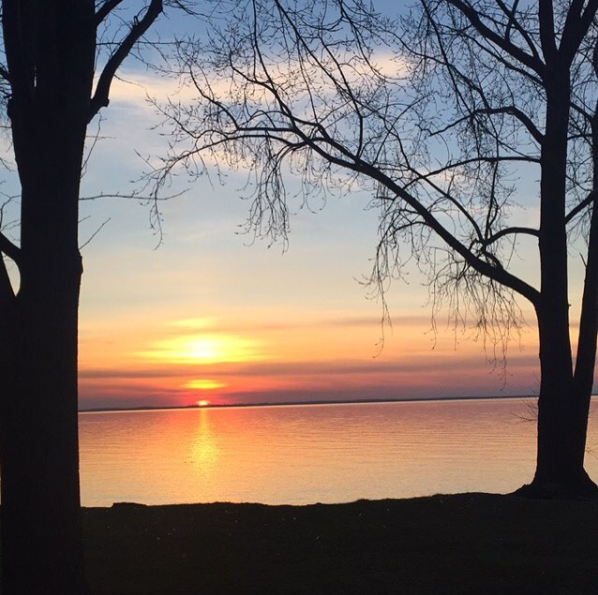 UWGB is in extreme proximity to the Bay of Green Bay, which is the perfect place to watch the sunset on the water. You can either walk here via the trails or drive over. 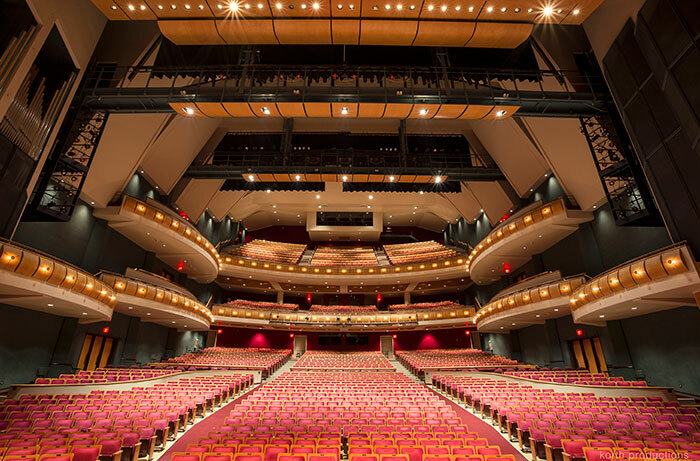 Our campus also is the home to the Weidner Center for the Performing Arts, a beautiful structure that hosts an abundance of varying events, including events put on through the school. UWGB offers plenty of great opportunities for their students. This includes: great study abroad programs that are offered during the school year, winter break, and summer break, internships on-campus as well as resources to get internships off-campus, career services that help you plan and prepare for your future career, and many other great resources that are at the disposal of students. College students always complain about the communal bathroom situation that they are forced to face. However, UWGB is unique in the fact that they offer private bathrooms! 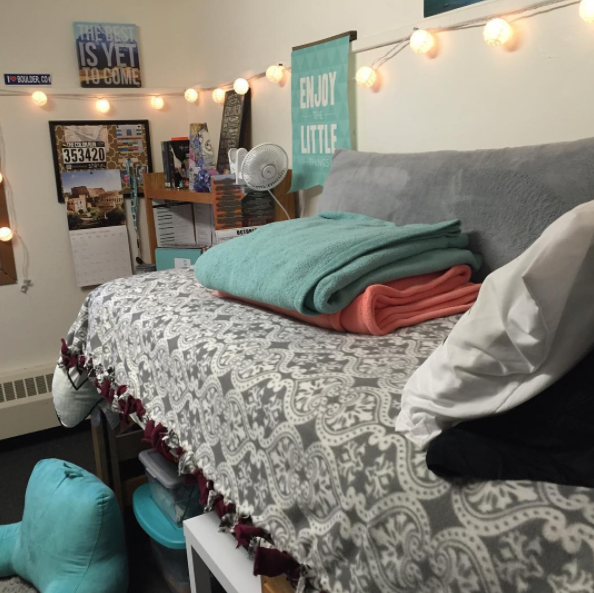 Every dorm or apartment option - including the freshman dorms - have their own bathroom. The most people I've ever had to share a bathroom with so far is two. There are honestly a bunch of great reasons why anyone should decide to attend UWGB. I instantly connected with this school when I first toured here, and after two years, I don't regret my decision in attending college here. Though it's hard to compress UWGB in just the 26 letters of the alphabet, I feel like this is a pretty comprehensive list that captures what UWGB is about and how it's like to attend school year. As this school year winds down, I'm looking forward to coming back in the fall to continue making memories at this great school.